After a good workout, I like to have myself a smoothie. For the past 8 months or so, I’ve become a professional strawberry-banana smoothie maker (I’ll write about it at some point). 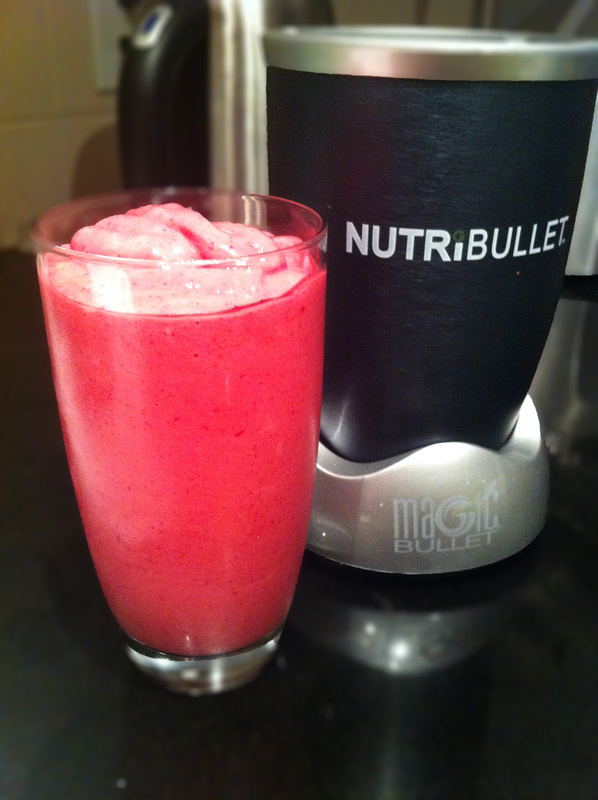 And now that I have my NutriBullet, smoothie-making is that much more easy. While the strawberry-banana combo is delicious, I wanted to try something new, something different. 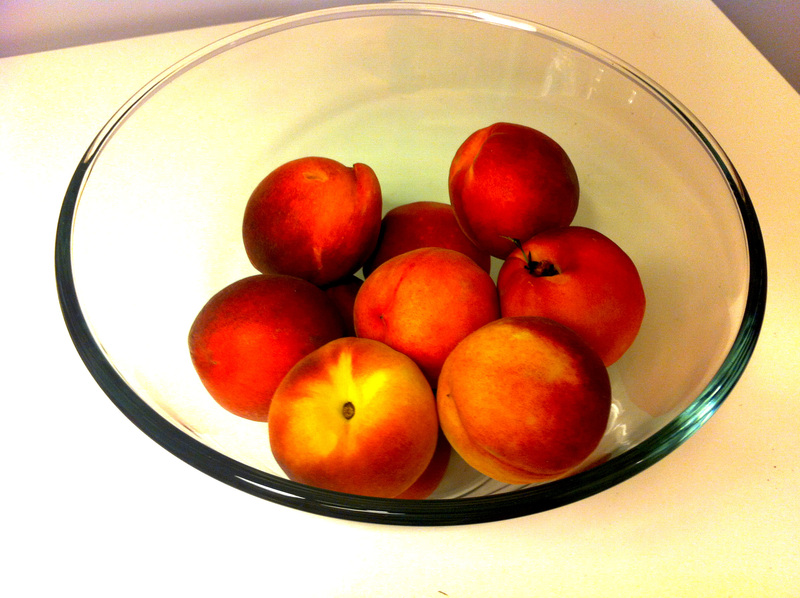 These peaches took 10 days to ripen! A few weeks ago, I accompanied my friend to a yogurt shop in Liberty Village. She’d ordered a mango-peach smoothie concoction. She offered me a sip, but somehow I managed to finish the whole thing off! It was so tasty that it inspired me to make my own rendition of the drink. I wanted to push the envelope, though. I thought, why not throw something else in there? I decided my veggie of choice would be beets. Why? Well, I love beets! There’s something about that muddy taste that I so enjoy. Also, the bright red colour is beautiful and would blend nicely to the orange hues of the other fruits. To keep the fruits and veggies preserved, I but them in portion-controlled plastics bags and stuffed them within a few freezer bags and tossed them in the freezer. Since they were frozen, I don’t need to add ice when blending everything up. How pretty is that? You can’t beat that colour (I resisted making a very corny pun there). The strong taste of the mangoes and peaches come through. 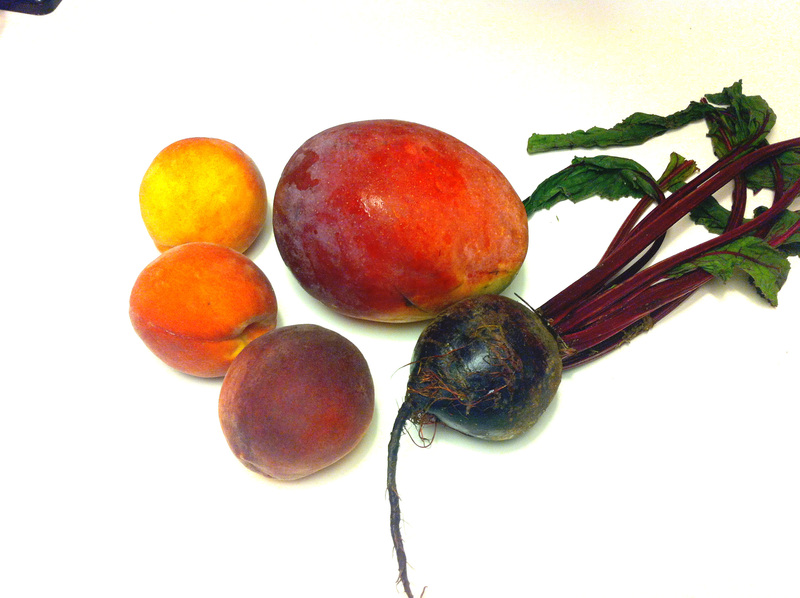 I can’t honestly say they completely mask the tastes of the beets, but it’s not too overwhelming. Plus, I think it adds a nice dichotomy – sweet and … beety, very refreshing after a workout! 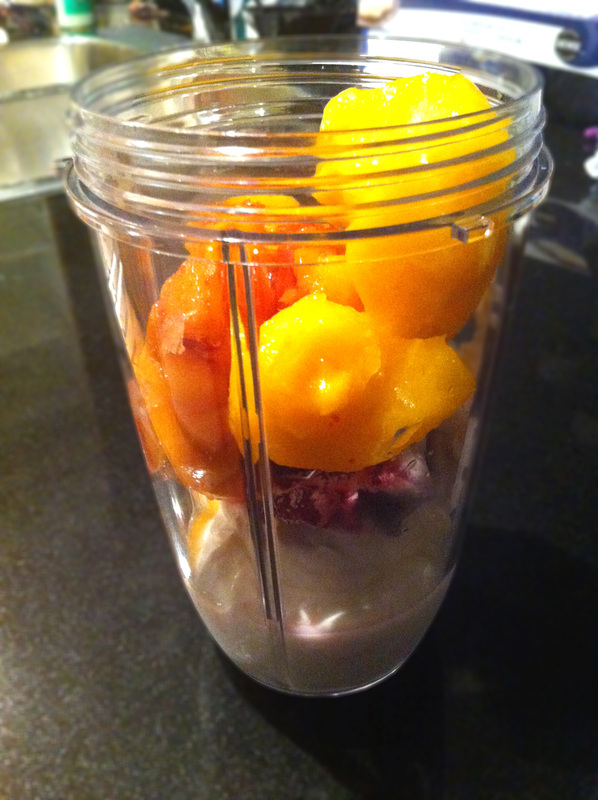 And of course, this smoothie isn’t just for grown folk after a spin class. Mommies and daddies could entice their kids with it. I’m sure they’d be more likely to drink a vegetable smoothie that’s a beautiful pink than a murky green! Try it out and let me know what you think about it!